Making his WOMADelaide debut alongside Mauritian chart toppers Otentik Groove, one of the world's best singing drummers, Jason Heerah offered his insight on who you have to see at WOMADelaide 2019. I first discovered her clip Gambia while watching Trace tropical TV in Mauritius. I was looking for inspirations for my video clip for Kifer to Pale Danse and I just loved how she incorporated colors of her hometown through her visuals to her music. I can’t wait to see her on traditional African instrument whilst singing. I’ve always been a fan of African rhythms and artists that have paved the way in Africa for world music like Salif Kieta, Youssou N’dour, Manu Dibangu and many others. Like our traditional Seggae Music from Mauritius I particularly love it when they fuse it with jazz or funk modern instrumentation. I heard her live show is the bomb! Who doesn’t love hanging out or being placed on the same bill at a festival with your muso friends? I love my soul music and have shared the stage a few times with The Bamboos whilst with my previous band Electric Empire. I love it how these guys are still running tight and more as a family not just crew on the road for all these years. It shows on stage with these guys and The Bamboos brand and sound from my hometown Melbourne is strong. Much love & respect for Lance, Kylie and the band. 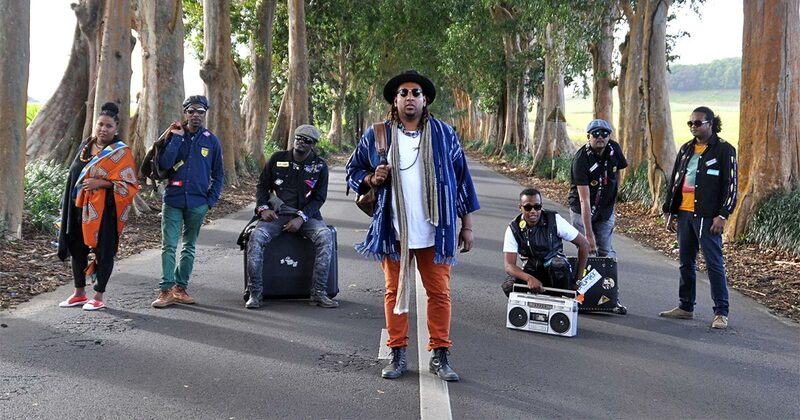 Looking forward to hearing how they translate their new sounds live at WOMAD this year. Again, I'm looking forward to hopefully catching up with some of the Fat Freddy's crew after having the privilege to also share the stage with them in the past. My love for this band stems from the strong beats from Mo’ and all the yummy delays and EQs he pulls on them live, along with that strong reggae influence and smooth soulful vocals. All three things I love. So it’s a must see for me. I was only made aware of this group from the WOMAD lineup. I'm loving the clips and really interested in seeing how it all comes to life live on stage. These guys have performed on big stages in front of big crowds. I’m more curious to see what tracks grow on me from the live show as I’m open to all styles of music. This type of music has lots of details in the production which interest me also, so can’t wait to hear and see their show through a big system. Through his solo work and the highly successul soul outfit, Electric Empire, Australian-born Jason Heerah has become a much loved performer. Sharing the stage with acclaimed names such as BoyzIIMen, Jermaine Jackson, Jill Scott, Olly Murs and Craig David, Heerah has now joined forces with Otentik Groove to share the sounds of Mauritius with the world. Oozing cool through the sizzling mix of soul, reggae, Zouk and the island's signature Sega music, Jason Heerah & Otentik Groove are going to bring a party to Saturday night for one show only on the Novatech Stage.